Dyeing, Dyeing, And Even More Dyeing! 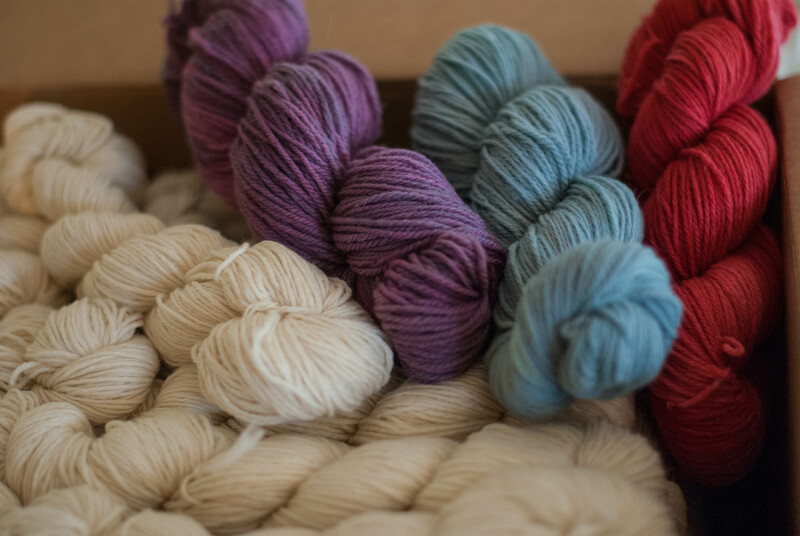 A little while ago I received several large boxes full of Juniper Moon Farm Share Yarn. This is always super exciting for me because it’s my first peek at the actual finished product pulled off the backs of the sheep we know and love. Can’t you just smell that sheepy, wooly goodness? The Cormo feels divine, and I adore it in its natural state. I get to have fun playing with colors! Susan gave me some suggestions for color idea this year, and combined with that and a look at previous year’s colors (to be sure I didn’t repeat anything too recent), I started playing around with the dyes. I wanted colors that were rich but not overbearing, and I wanted to use colorways that I could get consistency from. Since we dye in smaller batches I didn’t want each batch to be wildly different than the one before it. Reds are notoriously difficult (in my experience) with this, but after some experimentation I found one that worked. The blue I loved immediately, and the purple gave enough variety in shading to be fun without looking blotchy. I am really pleased with the results. I also love how nicely the yarn blooms out after a bath. 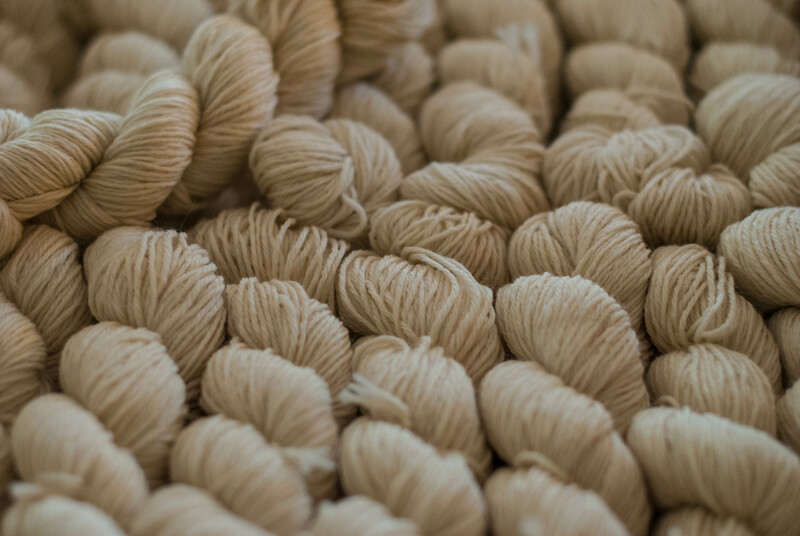 The dyeing will begin in earnest once everyone who bought a share indicates their color choice, and then it will be shipped out the very instant it is dry. I hope everyone loves this fiber as much as I do! You are amazing and I am SO excited about my future orchid yarn! Rich bright purples are awesome 🙂 THANKS AMY! I’m equally excited for my firetruck yarn!